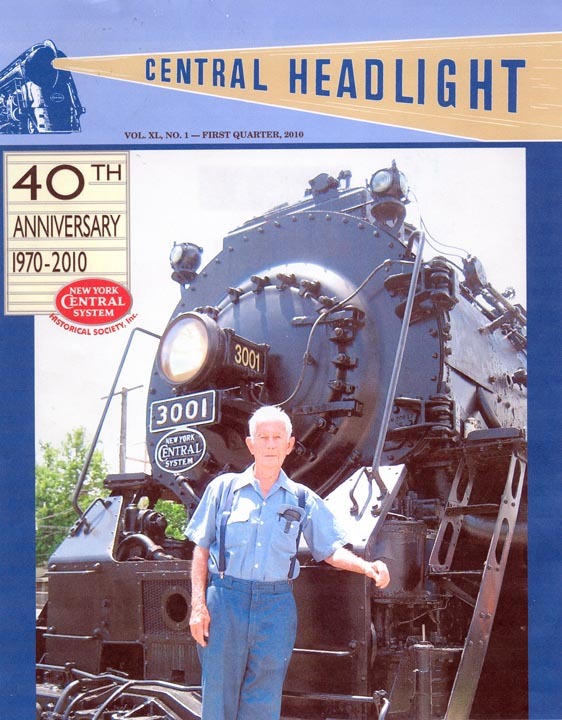 Be a part of the fastest growing, innovative and interesting railroad historic society in the world. Take a look at all of the benefits of membership and then join us and enjoy the ride. 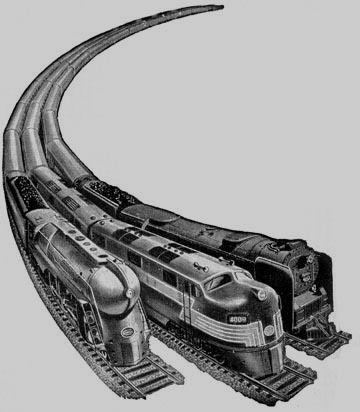 Are you a fan of the New York Central? Are you interested in prototypical modeling? Don’t go it alone! 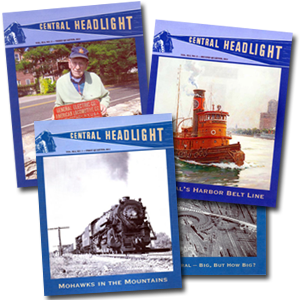 As a member of the New York Central System Historical Society, you will receive the Central Headlight, our quarterly, popularly acclaimed magazine, and can chat with other NYC fans and modelers on our NYCSHS members-only Yahoo Group. US Members receive this in hard copy as part of their memberships. Members from Canada & Mexico and Overseas receive this in digital form. US members may obtain the digital version for an extra $15.00 per year. Mexico and Canada members may obtain the hard copy version by paying an additional $15.00 postage. Overseas members may obtain the hard copy version by paying an additional $31.00 postage. 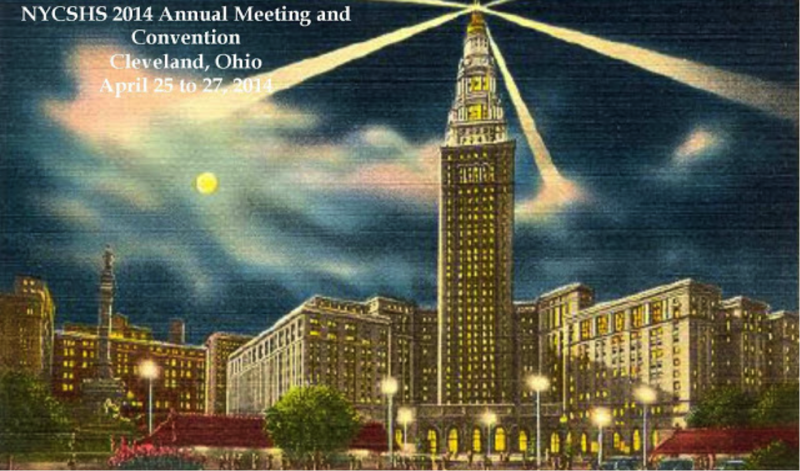 You will also be able to attend our annual conventions, each providing two days of total NYC immersion. 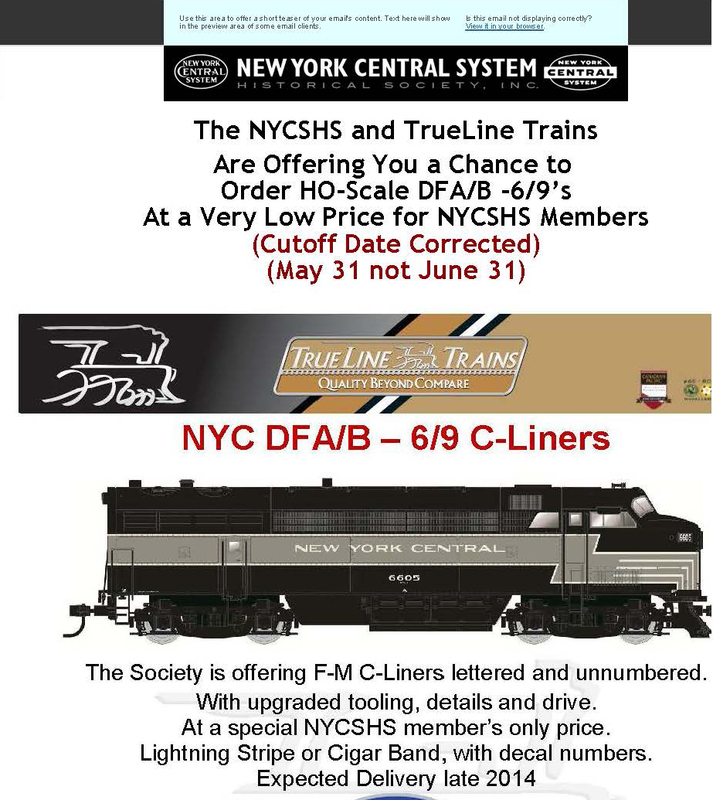 You will benefit from the first-hand knowledge of former NYCS employees and from the expertise of NYC historians, researchers, modelers and writers who will help you with answers to questions about NYCS history, locos, rolling stock, structures, and operating practices. 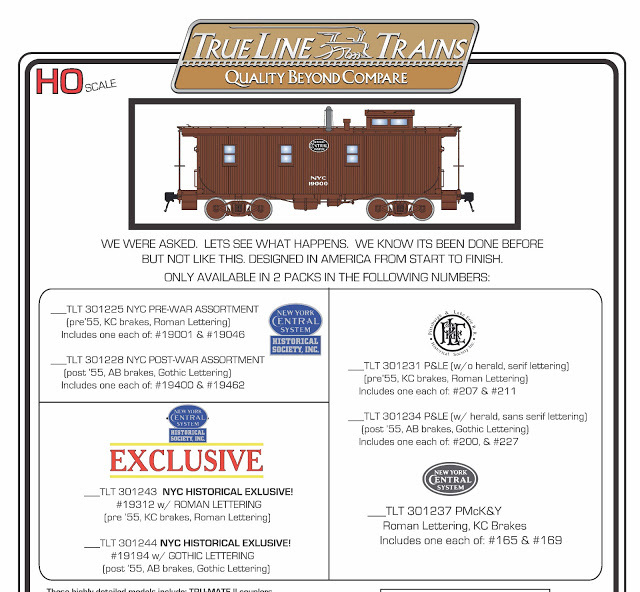 You will have access to many new NYCS models before they are offered to the public and at discounted prices. You will be eligible for up to a 20% discount on any of the NYCS items in our “NYCSHS “Collinwood Shop’“. 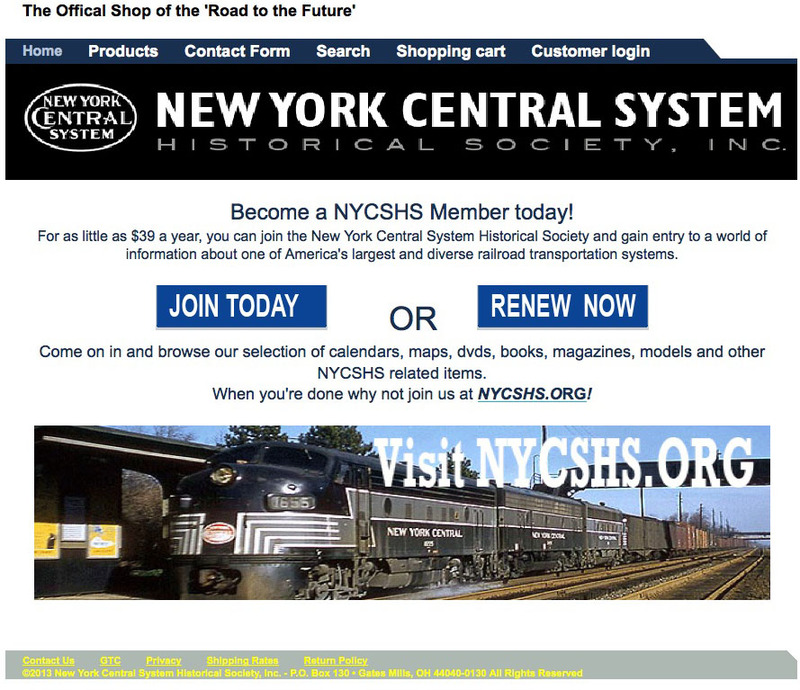 You will have access to a large amount of research material on the NYCS to include history, reference material, photos, drawings, and a NYCSHS Members Yahoo Group where you can exchange information and ask questions with other NYCSHS members. 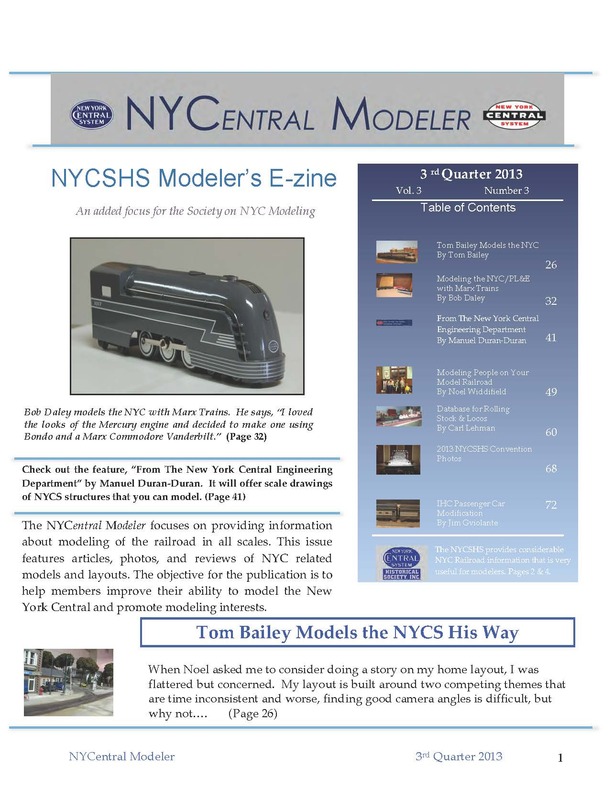 The Society uses a powerful email tool (MailChimp) to update members on what is happening within the NYCSHS. These timely emails will let you know the latest information about the Society events. You will also be able to participate in our newly instituted survey of members. We have begun to periodically send out surveys using a nationally recognized survey service called Survey Monkey. We have a NYCSHS Facebook page that is open to all, but members have the ability to provide factual answers to help attract other people to our Society. Do it right! Join today!